When you lose permanent teeth due to an accident or decay, failing to replace them endangers the health of your other teeth, gums, and jaw bone. Modern, high-quality dentures custom-made by Patrick Carbone of Lilly Denture Center in Olympia, Washington restore your smile and oral health quickly and affordably. 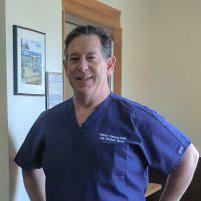 If you’re missing teeth, live in the Olympia area, and need full, partial, or implant dentures, contact Patrick by calling his family-run staff or booking an appointment online. Why do I have to get dentures? When your teeth fall out, get knocked out, or are removed, the gap they leave endangers your other teeth. The daily pressure of chewing then forces your remaining teeth toward the gap, causing your teeth start to shift and twist at odd angles. Eventually, the pressure forces these teeth to slip into the gap, detach, and fall out. Even the teeth opposite the gap may be affected by a process called “super eruption,” where they emerge from the gum and grow toward the gap. Missing teeth leave your gums open to infection. The lack of healthy pressure on the gums and jawbone can cause them to atrophy. If you’re missing several teeth — particularly in the front — your face can change shape, making it look sunken and old. When your teeth and jawbone don’t work correctly, your digestion can be affected, too. An imperfect, misaligned bite complicates chewing. You may start eating softer, less healthy foods, or stress your digestive system with foods that weren't chewed properly. Custom-designed dentures (i.e., false teeth) restore your smile and keep your remaining teeth in healthy alignment. You also enjoy increased confidence and self-esteem, since you can smile again without embarrassment. Aren’t dentures uncomfortable and unattractive? Advances in techniques and materials make today’s dentures snug-fitting and natural looking. Patrick only uses the best quality materials available to design and create your dentures at the Lilly Denture Center’s in-house lab. Your custom-made dentures look, fit, and work beautifully. To schedule a dentures consultation, call Carol at Lilly Denture Center or book an appointment online.